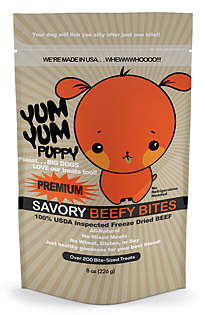 • ALL NATURAL & HEALTHY: YumYum puppy treats are made with only one ingredient—100% premium USDA beef or 100% premium USDA chicken. High in lean proteins, low in calories and fat. They are soft for easy digestion making them great for puppies and dogs of all ages. 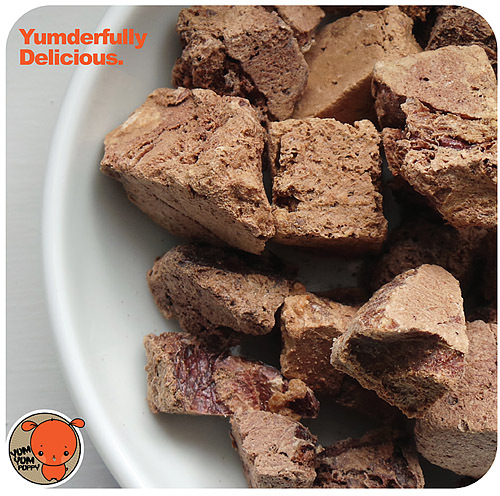 • TRAINING MADE DELICIOUS: Training your dog is made far easier with YumYum dog treats. From crate training to playing fetch, our tasty treats are ideal for training and teaching young and old dogs new tricks. • PERFECTLY-SIZED TREATS: We make treats that are made for giving your dog a healthy snack that won’t spoil their supper and won’t make a mess. Averaging between dime and quarter size, they’re the perfect consistency for your pup’s teeth. They can be also sprinkled over food to enhance the flavors of dry dog food for the younger pups. 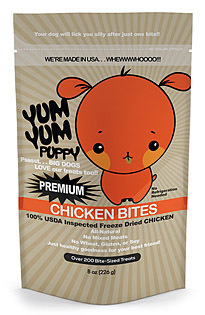 • WHOLESOME & AMERICAN MADE: YumYum Puppy Treats are made in the USA, so you can trust that your four-legged friend is getting quality nutrition that’s free of fillers like wheat, gluten, corn and soy.